To provide professional and paraprofessional services to clients in their homes assisting them to achieve the highest level of potential in their day to day self-care activities. 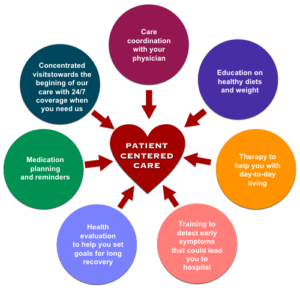 We are committed to providing high quality, multidisciplinary care by professionals who recognize the need for comprehensive assessment of needs from both the client and professional’s point of view. To be one of the leading providers of a wide range of quality home health care services, recognized for enduring dedication to provide innovative, professional, and compassionate care to the communities we serve. It is the contention of this company that aging process is a normal state in the development of any individual and that chronic disease and disability are, to some degree, a part of that process. 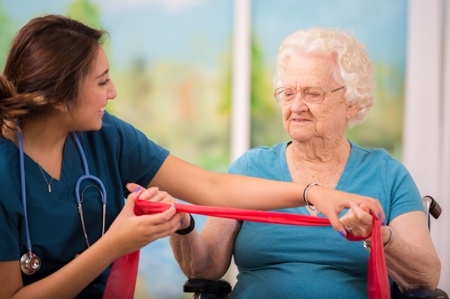 We are dedicated to rehabilitating aged and disabled individuals within the confines of their residence, in order that they may maximize their contributions and fulfill their goals as a family member and member of society with a minimum of conflict. In accomplishing this end, it is felt that the self-respect of the individual can, and will be enhanced.